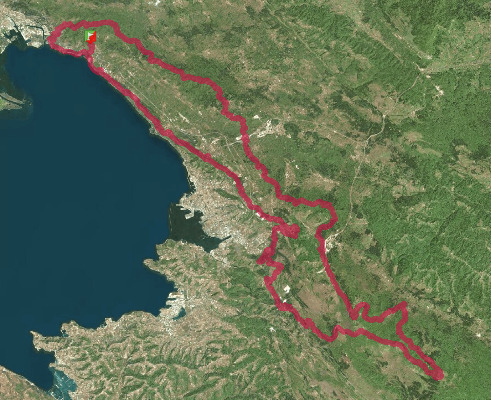 S1Ultra is born, a breathtaking 100-mile, suspended between the Gulf of Trieste and the mountains of Slovenia. Run on the very thin border between Sea and Mountains, between Italy and Slovenia and Croatia: a razor’s edge that represents the perfect balance of contrasts. An entirely marked path along the most beautiful and hidden trails of the Italian and Slovenian Karst, many of which are beaten and rediscovered only in occasion of this race: pure trail running. S1 Ultra encapsules a perfect mix of hardiness and technical terrain, of glimpses of sea and mountain features that sometimes can also be whitewashed (not snow-covered in order to request special snowshoes or skis). Bonjour, Merci de respecter les règles d'insertion de l'iframe sur votre site avant de placer votre trace en public.